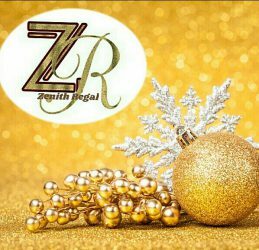 How are you all my zenith Regal family? I want to thank you all for making this journey worth it, when I thought of becoming a blogger I was a little bit skeptical…i thought of the kind of contents to post here, I thought of how much traffic I could get, I asked myself if I had what it takes to be a blogger and even if I didn’t get all the answers I started after all… Yipee!!! Blogging is fun I must say, it’s not that easy but it’s worth it. It helps us exercise our right to opinion, I’ve learnt to research, it has built my knowledge on issues and events. I’ve been able to meet wonderful people too. I don’t regret taking the risk, it has been an amazing journey, it’s not my blog anniversary yet but I needed to appreciate you all, tell you guys what I’ve been up-to lately and discuss the way forward. The truth is I’ve not been consistent here, I am truly sorry and I promise to make up for it…. Working on it. Your girl had a podcast interview with the SURG (sabi your Genre) Radio Host and i felt really good, SURG is a music Radio podcast channel on sound cloud. It’s the first time am having an interview and we talked about a lot of things ranging from blogging and then future plans for zenith Regal, I was asked how bloggers can help the upcoming musicians especially the ones who do entirely different Genre of music here in Nigeria. So on that note I decided to help promote them and let people know about them and their music.. Imagine!!! small me but then we can do that, can’t we? These guys do really good music and yet no platform to showcase what they’ve got…let’s make zenith regal a platform, I will be posting music contents once in a while, I will post their songs here for you guys and then you could help share as well… Let’s help make their dreams come true. To listen to the interview click here go support your girl and please remember to subscribe to get more music updates from SURG. I will be opening a podcast channel for the blog, where we will be having some deep and heart warming conversations on relationship, love and life…i have a lot to tell you guys and I promise not to allow it come between our normal chats here, it’s just that some things are better said than written. I will share the link soon so you all could go subscribe and listen and contribute. I have a lot of plans for this blog, so please be patient with me…i will be posting something different from our normal posts soon. Next PostNext DIY 2 Trends in 1 Ankara fashion – Street Style Slay.